I published a post in The Jeffersonian on January 29 titled What Accounts for Journalists’ Service to Government? It suggests that citizens cannot trust news organizations when those organizations collaborate with government. We know the government is not trustworthy. Its record of dishonesty, secrecy, and illegal behavior is long and well documented. Government’s allies in the media paint themselves with the same brush. A friend kindly responded, suggesting that in light of the behavior we see in large governmental and media organizations, we have to rely on the alternative press, like The Jeffersonian. That was a nice thing to say. It also reflects a hopeful evolution in the way we engage with our public sphere. Free speech and free thought, though difficult, still finds a place among the internet’s blogs and other outlets. Which brings me to the title above, We’re It. So many critics and skeptics have argued in good faith for a new investigation into the 9/11 attacks. Victims’ families and others say the 9/11 Commission report does not explain why the North Tower, the South Tower, or World Trade Center 7 fell. 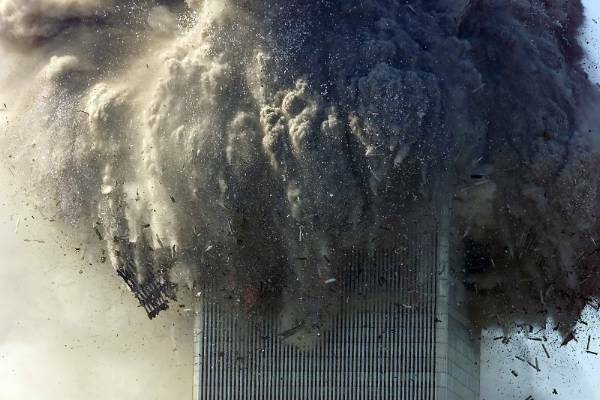 Most importantly, the report does not explain why so many people in the Twin Towers died. The evidence we have on film, not to mention many other kinds of evidence, does not support the Commission’s conclusions about what happened that day. If disagreements exist about what happened on 9/11, critics argue, we need a new investigation to account for all the evidence we have. Who would conduct a new investigation? Several spokesmen for the 9/11 truth movement argue that Congress, the press, or some combination of the two should launch a new inquiry. These two institutions may be somewhat more believable than the executive branch’s 9/11 Commission, but honestly, do you find them terribly trustworthy? When it’s all over, would we have any more confidence in their conclusions than we have in the Commission’s? Congress and the media are already too much under the influence of the executive branch, and the many institutions that support that branch. That influence would become highly concentrated if the legislative branch were to open a new investigation. The media, for their part, are too diverse to organize a new investigation among themselves. They are organized to report on investigations conducted by others. Critics might reply that only a congressional inquiry would command the resources required for a thorough investigation. No private body would have enough money to hire the people required for the effort, nor would private investigators have access to the information they needed. Indeed Congress could throw ten, twenty million dollars at an investigation like this one. I’m doubtful whether current skeptics, were they to read the investigators’ report, would regard the money as well spent. The same process of discovery will occur with 9/11 research. It is already well underway. Independent researchers cannot rely on institutions that supposedly have more credibility than they do. Yes, independent researchers are branded conspiracy theorists, which actually means conspiracy nuts. So what? Investigators must rely on the persuasive power of actual evidence, not invite more dishonesty from a government investigative body that outlines its conclusions before it goes to work. Why would we expect a new government investigation to reach conclusions substantially different from the first one? We shouldn’t. Would conclusions from a congressional investigation differ substantively from the executive branch’s conclusions? They might. You could not count on it, though. To succeed, independent researchers must emulate the success of researchers who revealed the truth about Kennedy’s assassination. Private researchers act independently in that they do not depend on goverment for resources, nor can they depend on information government holds secret. They can only support each other, and move incrementally toward the truth. No independent researcher should feel alone in this project. We’re it.